Commanded the 1st Battalion Worcestershire Regiment from May 1969 to January 1972. Richard George Ashley Leman was born on the 26th April 1927 at Worcester. Son of Lieut.-Colonel Leman, D.S.O. (who also commanded the 1st Battalion Worcestershire Regiment from August 1931 to 1935). Richard Leman joined the Army as a private soldier on 1st February, 1945 and was commissioned into The Worcestershire Regiment, from 164 O.C.T.U. (Officer Cadet Training Unit), in March, 1946. He first joined the 1st Battalion The Worcestershire Regiment in 1947 and served with that Battalion at Trieste, Pola, Luneberg, Berlin and Gottingen into early 1950. From 1950 to 1951 he was Brigade Intelligence Officer to 31 Lorried Infantry Brigade at Goslar, B.A.O.R., in which Brigade at one time both 1st Battalion Worcestershire Regiment and 1st Battalion Sherwood Foresters Regiment served alongside each other. He married Margaret Wynter at the Priory Church, Malvern, on the 20th September 1952. Afterwards a reception was held at the Regimental Mess, Norton Barracks. Following a tour at the Regimental Depot at Worcester from 1952 to 1954, he again joined 1st Battalion Worcestershire Regiment at Bulford and Iserlohn, B.A.O.R., first as Weapon Training Officer and later as Second-in-Command of a Company. It is interesting to note that Richard Leman was Battalion W.T.O. (Weapons Training Officer) in 1955, in which year The Worcestershire Regiment won the K.R.R.C. Cup for the first time. Following qualifying at the Staff College, Camberley in 1957 he was Staff Captain then D.A.Q.M.G. at the War Office from 1958 to 1960. From 1961 to 1962 he again served with 1st Battalion Worcestershire Regiment at Worcester, British Honduras and Minden, B.A.O.R., first as Adjutant and then as a Company Commander. From 1963 to 1964 he was D.A.A G. at H.O. Mercian Brigade at Lichfield and from 1965 to 1967 he returned to 1st Battalion Worcestershire Regiment at Lydd, Gibraltar and Libya, first as a Company Commander and then as Second-in-Command of the Battalion. From 1968 to 1969 he was G.S.O. 2 in the Ordnance Branch of M.O.D. 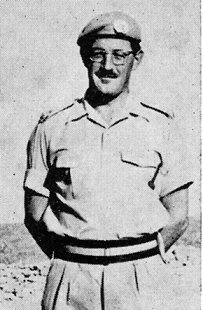 until he went out to Cyprus in 1969 and assume Command of 1st Battalion Worcestershire Regiment on the 20th May 1969, thus following in the footsteps of his father, Lieut.-Colonel J. F. Leman, D.S.O. who also commanded the 1st Battalion from 1931 to 1935. Lieut.-Colonel Richard Leman continuing his command of the 1st Battalion at Bulford in 1970 and at Warminister in 1971 and until handing over in January 1972 to Lieut.-Colonel John Hetherington. 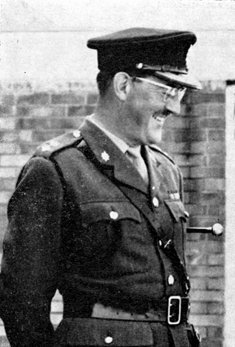 On 28th February, 1970 Richard Leman became the first Commanding Officer of 1st Battalion The Worcestershire and Sherwood Foresters Regiment. When Worcesters were amalagamated with the Sherwood Forestes on 28th February, 1970, on which occasion the Colonel-in-Chief, H.R.H. The Princess Anne first visited her Regiment. In the Spring of 1970 the 1st Battalion became Demonstration Battalion at the School of Infantry, Warminster, and for the next two years they carried out this duty in a manner which has earned for them high appreciation of their co-operation and efficiency from all quarters, and which has further enhanced the reputation of the Regiment. The final major event under Colonel Leman's command was of course the Presentation of its first Colours to the Regiment by the Colonel-in-Chief, H.R.H. The Princess Anne, at Warminster. This was a perfectly executed and most impressive Ceremonial Parade which is still clear in the minds of everyone who was fortunate enough to witness it. He is now G.S.O. 1 at H.Q. School of Infantry, Warminster. As an officer on the Army Legal Services Staff List he was promoted to full Colonel on the 30th June 1976. Colonel Richard Leman finally retired from the army on the 26th April 1982.